In her final article for Royal London, Fiona Tait reviews key changes she believes have transformed, or will transform, pensions. In my 12 years with Royal London I have been paid to review, study and explain the numerous changes to pension legislation which have transformed our industry in that time. This is a role/service that does not directly contribute to their bottom line. I joined Royal London in order to work with Steve Bee, a pension genius who can take the most complicated and often absurd concepts and turn them into something that is not just comprehensible but entertaining. He’s not alone in this, but the number of firms prepared to pay for this service is decreasing and I think it is to Royal London’s credit that they continue to do so. We (I say this for the last time) believe absolutely that good-quality impartial advice is essential to help consumers make key decisions about their finances. So when we deliver educational seminars they are educational and not sales pitches. When we write articles they will sometimes promote our products and services, but they are always intended to inform. I hope you find this useful. If you do, you might like to let them know. For my part I would simply like to say thank you for the opportunity. Age-related contribution limits and maximum funding for Occupational Schemes were replaced by a universal contribution limit, the Annual Allowance, and the Lifetime Allowance limit on benefits. A great theory and if they had only left it alone we might actually have simple pension rules by now. Unfortunately, the temptation to reduce the tax relief bill has proved to be too much for successive chancellors and we now have the tapered annual allowance and money purchase annual allowance to restore the level of complexity. Provider commission and factoring was banned in favour of transparent fees and Adviser Charging. Qualification levels were increased. Royal London was ahead of the curve with the Financial Adviser’s Fee (FAF) and fully supported the move towards transparency. We now have fewer financial advisers and an incipient “advice gap” but I am truly impressed by the quality of those I now meet in conferences and educational seminars. Employers are given the legal duty to automatically enroll workers meeting certain criteria into a qualifying pension arrangement. 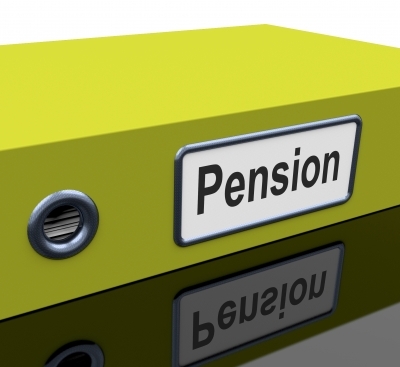 In 2012 there were 10.9m1 workers in workplace pension schemes. At the start of 2017 another 7.2m2 workers had joined as the result of automatic enrolment. Of course they are not saving much and that needs to be addressed, and soon, but it’s a good start. Actually it’s an excellent start, and a very good indicator of the best way to persuade people to save more. Inertia works. “No one will have to buy an annuity”. Income limits removed on defined contribution pensions, allowing access to total lump sum withdrawal in addition to income withdrawal (drawdown), scheme pensions or annuity purchase. People over 55 can now take as much as they want, when they want, from their DC pensions. Widespread concerns about spending too much too soon have been allayed by industry statistics which show the average lump sum withdrawal is £14.5K3. Royal London is playing its part with the Drawdown Governance tool which helps advisers to monitor and manage income sustainability. Savers will be able to access information about all of their pension savings in one place. Paid up and legacy arrangements will be easier to trace. I have great hopes for the dashboard although it’s important that we do not over-promise. It’s a huge exercise for providers and scheme administrators but it will be worth it if people engage more with their savings. I wish those working on the project all the best with their endeavours and hope they get the support they need to continue.